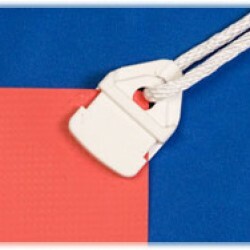 FASTEN BANNERS FASTER WITH POWERCLIPS! 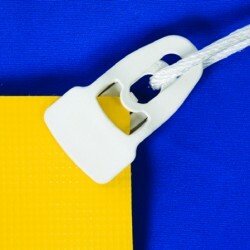 Banner Ups PowerClips are the perfect choice when you want a removable and reusable banner fastener. Available in a Mini size for light duty and Large size for heavier duty strength, PowerClips are simple to apply to banner corners with pressure alone. 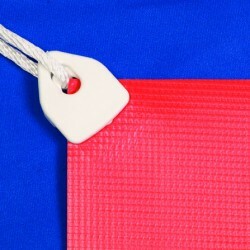 They work great on tarpaulin and other textile materials too, making them an innovative way to fasten almost and textile! To remove, just pry the wedges apart and the clips are ready for reuse. 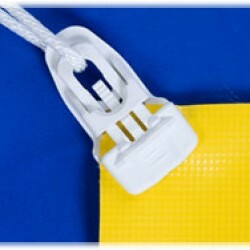 Multiple uses bring the effective cost of PowerClips to a fraction of the purchase price.